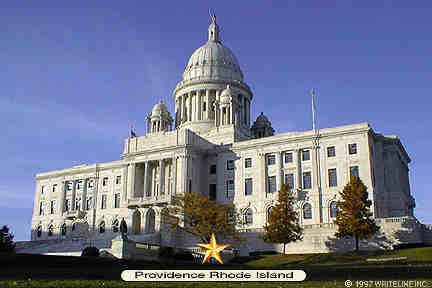 Rhode Island's Capitol has 327,000 cubic feet of white Georgia marble. Modeled after the national Capitol, it features the 4th largest self-supported marble dome in the world. 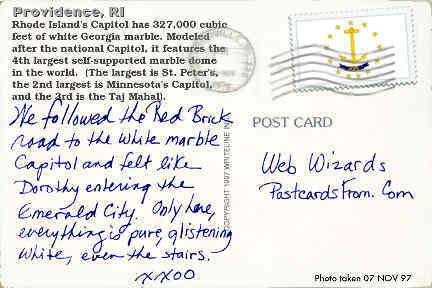 (The largest is St. Peter's, the 2nd largest is Minnesota's Capitol, and the 3rd is the Taj Mahal).